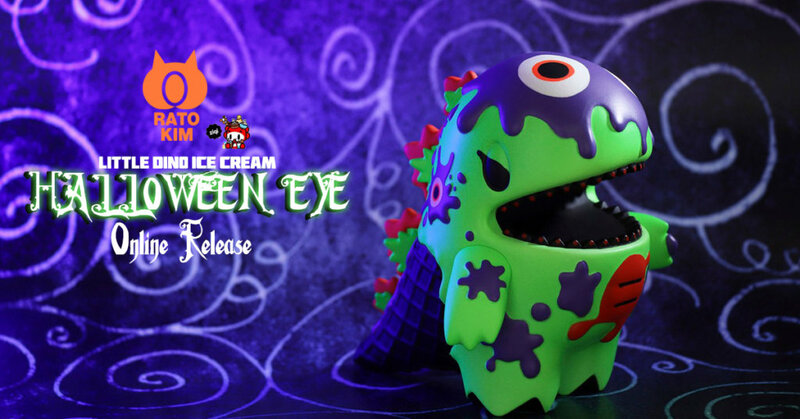 HULK eat your heart out as the general online release for LITTLE DINO x RATO KIM HALLOWEEN EYE edition will be released online! Truth be told we never thought about a Rato Kim & Ziqi Wu collaboration but here we are, after making various Asian conventions we get the chance to own the Rato Kim & Ziqi Wu collaboration “Little Dino Ice cream HALLOWEEN EYE edition. Rato Kim giving her take on the ever-popular Dino. Everyone’s favourite ice cream dinosaur returns and is a collaborative project in time for Halloween with Breadcat creator Rato Kim.